All art images are copyrighted. The use of any image is hereby prohibited. On September 22, 2016, Arden’s Gallery presented "Fieldscapes" -- a series of abstract landscape paintings by Ted Cowart and Sunny McKinnon, plus origami works by Joan Son. Click one of the photos to view a slide show. On February 13, 2016, Arden’s Gallery presented "Variations on a Tree" -- a series of landscape paintings by Ted Cowart and Sunny McKinnon. Click one of the photos to view a slide show. 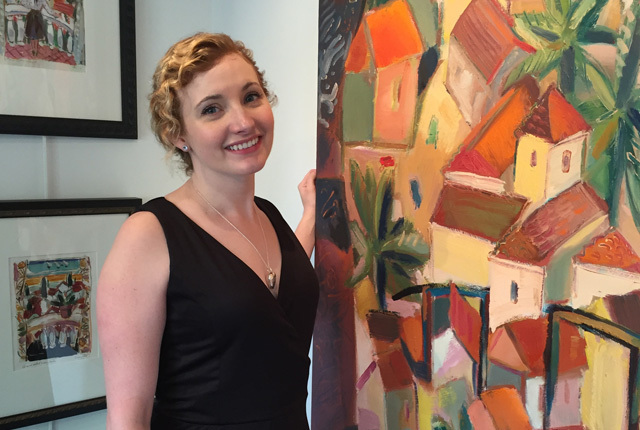 On January 9, 2016, Arden’s Gallery presented abstract paintings by Ted Cowart, Sunny McKinnon and Laurent Boccara. Click one of the photos to view a slide show. On October 3, 2015, Arden’s Gallery presented associations: land and water, a series of paintings celebrating the beauty and diversity of the Texas Gulf Coast by artists Ted Cowart and Sunny McKinnon. Click one of the photos to view a slide show. If you have questions about the paintings or artists we represent, please use our Contact Form or send us an email. Read the latest News to learn about upcoming shows and exhibits, new works by our group of artists, plus special offers and discounts. If you wish to attend a future event, please join our Email List.